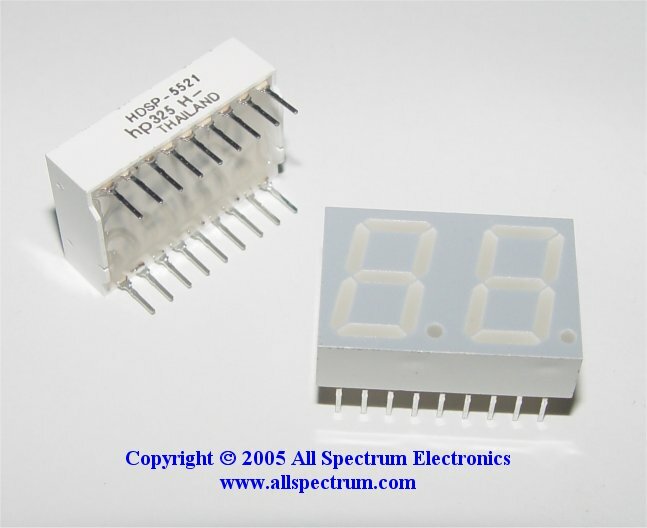 High quality HP unit, 0.56" SUPER-RED 7 Segment DUAL Digit LED Display. Common Anode. Right hand decimal points. Super-bright, suitable for high ambient light conditions. Standard DIP leads (0.6") on 0.1" centers, fits on breadboards for prototype work.